Dundee City Council proposes to make an Order under Section 14(1) of the Road Traffic Regulation Act 1984 for the purpose of facilitating footway resurfacing works. The Order is expected to be in force for two weeks from 15 April 2019. Its maximum duration in terms of the Act is eighteen months. 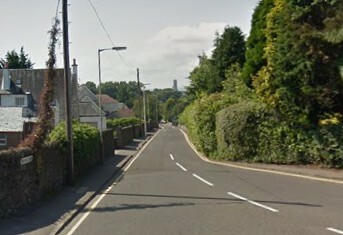 The effect of the Order is to prohibit temporarily all vehicular traffic in Glamis Drive from Invergowrie Drive to Hillside Road (Phase 1) and from Hillside Road to Glamis Road (Phase 2). Only one phase of the works will be in operation at any time. 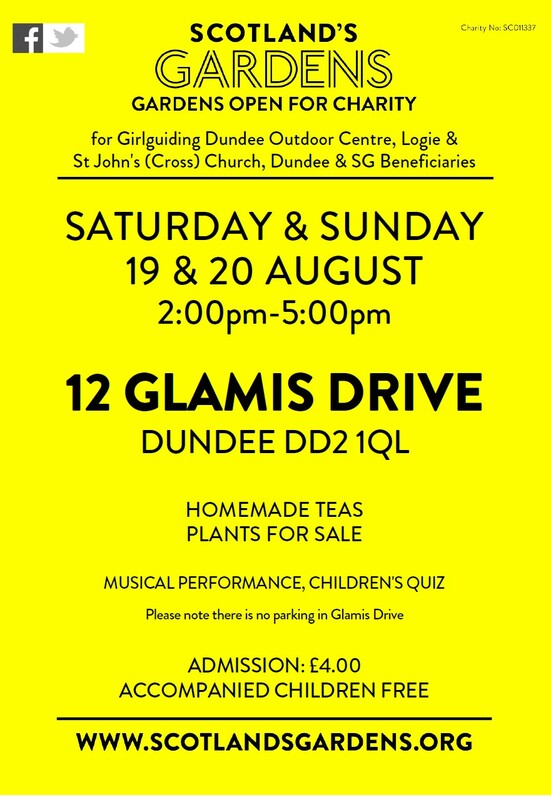 An alternative route will be available via Glamis Road, Perth Road, Invergowrie Drive and in reverse. Pedestrians will have an alternative walkway on the road to safely pass the works. If you have any queries, please contact the Network Management Team, City Development Department, Dundee House, 50 North Lindsay Street, Dundee, DD1 1LS – 433168. 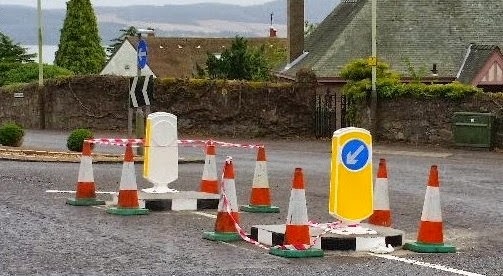 THE DUNDEE CITY COUNCIL AS TRAFFIC AUTHORITY being satisfied that traffic on the road should be prohibited by reason of Scottish water manhole repair works being carried out HEREBY PROHIBIT the driving of any vehicle in Glamis Drive (from Hazel Drive to Hillside Road), Dundee. This notice comes into effect on Monday 6 August 2018 for 1 day. 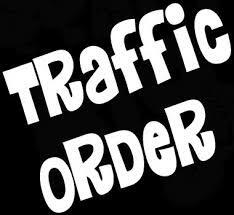 Alternative routes for vehicles are available via Hazel Drive / Glamis Terrace / Glamis Road. Back in 2014, at my request on behalf of constituents, the City Council provided a central refuge island on Glamis Road just north of the roundabout with Blackness Road/Glamis Drive to assist pedestrian safety. Given the width of Glamis Road, I have since had requests for similar safety measures south of the roundabout and also towards the south end of the road, near its junction with Perth Road (see latter – right). 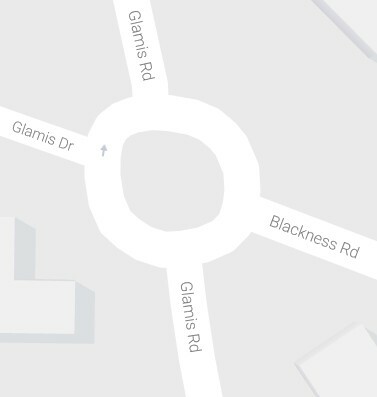 “Glamis Road / Perth Road junction and Glamis Road / Blackness Road roundabout has been inspected and there is justification for central refuge traffic islands to be provided at these locations. However due to the proposed budget cuts I am awaiting confirmation of the budgets for 2016/17 minor works. With the likely budget cuts this scheme will have to compete with other minor works from the available budgets. I will continue to press for these to be provided as soon as funding is available. I have again raised with the City Council – at the request of constituents – the poor pavement condition in Glamis Drive between the junction with Hazel Drive and Glamis Road. I specifically asked, given its deteriorated state, if it can be considered for a future year’s resurfacing programme. 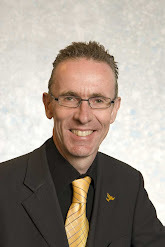 “Glamis Drive footways are not included in the provisional three year footway resurfacing list . However, they have been identified for inclusion in future programmes of work subject to funding and other priorities identified at that time. I will continue to press for pavement improvements in Glamis Drive. In August, I reported that the council had, following my request on behalf of residents, provided a central refuge island and drop kerbs to help folk get across the road in the area around the Glamis Road/Drive/Blackness Road roundabout. See photo – right. This was provided north of the roundabout and I have since had requests from residents for similar provision on the south part of Glamis Road – south of the roundabout – again a busy stretch of road. I therefore raised this with Dundee City Council. “I will arrange for the section south of the roundabout to be inspected for consideration within a future minor works programme.